This winter I grow many different hybrid seedlings. 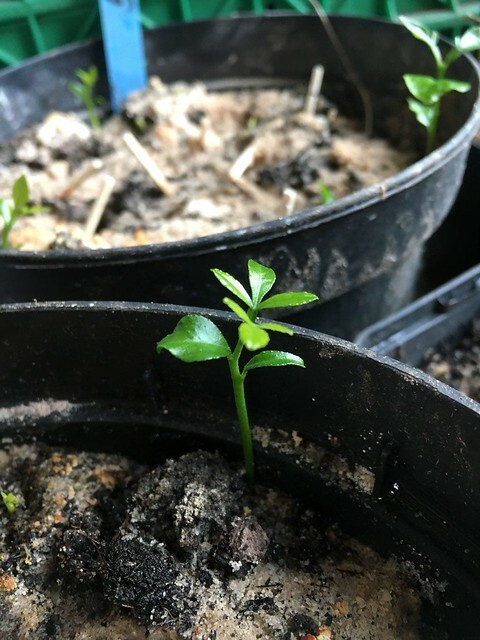 I observe that Poncirus seedlings have their cotyledons not paired like in Citrus. The 2nd cotyledon is always higher than the first one. Citrus and Microcitrus have them very close to each other in pairs. 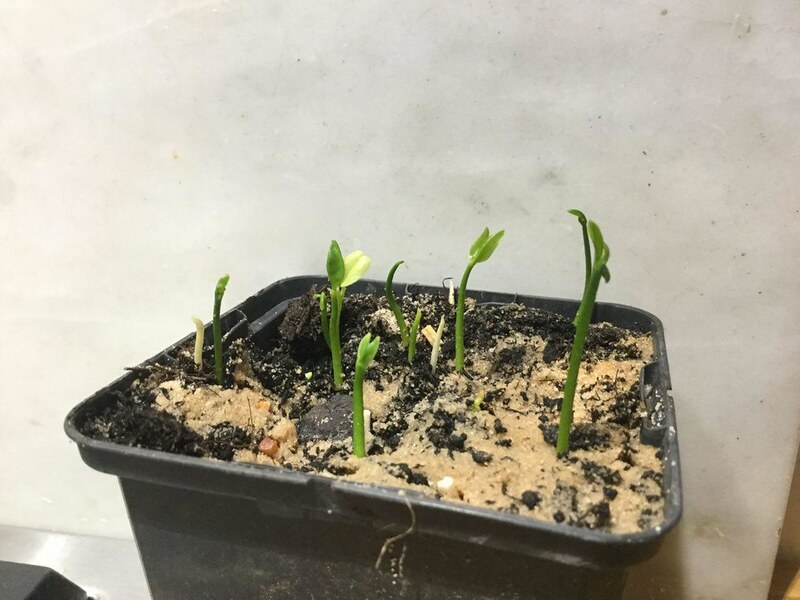 Citrus x Poncirus seedlings are mixed. Some are paired but the most are like Poncirus. Does someone observed the same? I wonder if this trait is suitable to find more Citrus like hybrids among seedlings. For now it is impossible to tell if it is connected to poncirin free fruits but would be interesting to find out. I think that what you are taking for eccentrically situated cotyledons are true leaves with cotyledons that are still covered with testa in germinated seeds. Your`re right! These aren`t cotyledons. Interesting post, Mikkel. 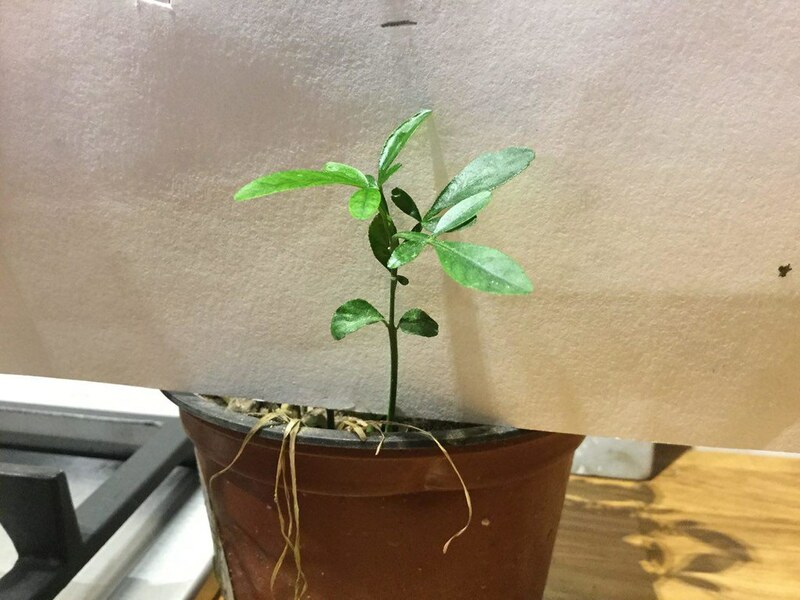 I have similar observations - most citrus seedlings have the first two leaves paired. 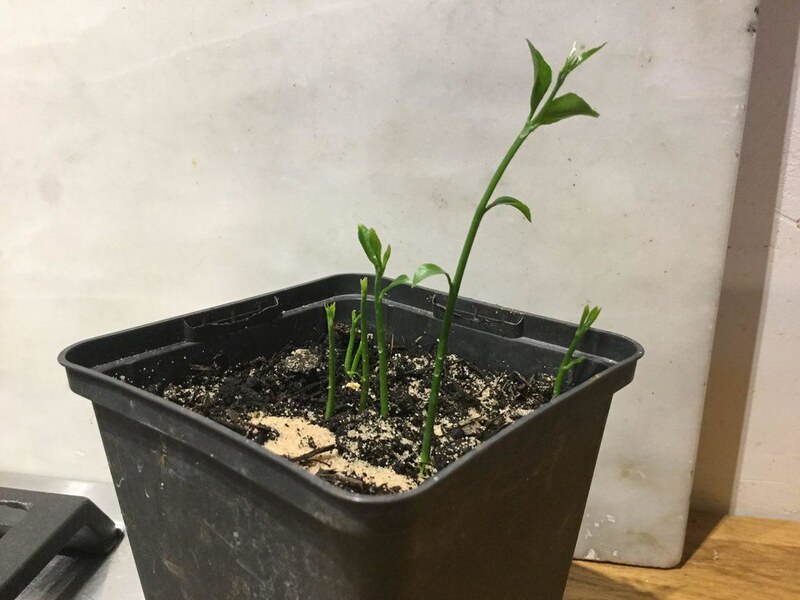 Poncirus and Microcitrus seedlings are different - their first few leaves are very small and don't grow in pairs. 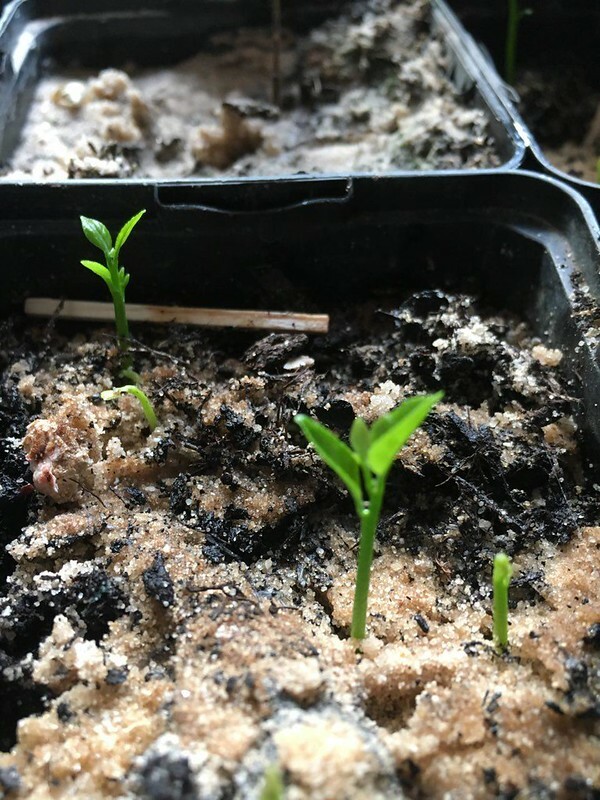 Citrus (kumquat) x Poncirus seedlings are somewhat in between, but rather unpaired. 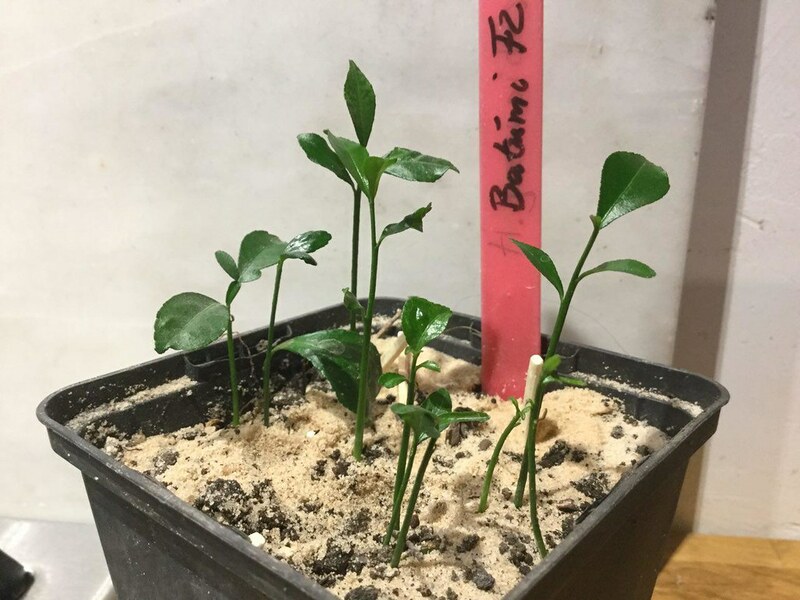 And when there are more Citrus genes, the seedlings are more likely to develop like true citrus. Reale kumquat hybrid x Poncirus trifoliata. Mostly unpaired. Only one seedling has the 2 first leaves exactly paired (the one with narrow leaves, by the way it looks strange ). Reale x N1tri. The few seedlings that germinated up to now have the first two leaves paired, like true citrus. It's interesting because as your photo shows, N1tri itself has the first leaves unpaired. Congratulations in getting hybrids between poncirus and kumquat cross, particularly with triploid one. May be clementine genome is helping to achieve it. And some of them should be also triploid. The leaves you are talking about are called primordial leaves. In citrus they mostly are opposite but some time alternate. Just to use the right words. Ilya11, thanks. Triploid hybrid sounds interesting, as I understand in this case 2/3 of its genes would come from Reale and only 1/3 from trifoliata. This should give a bit better fruit (less sticky gum etc.) 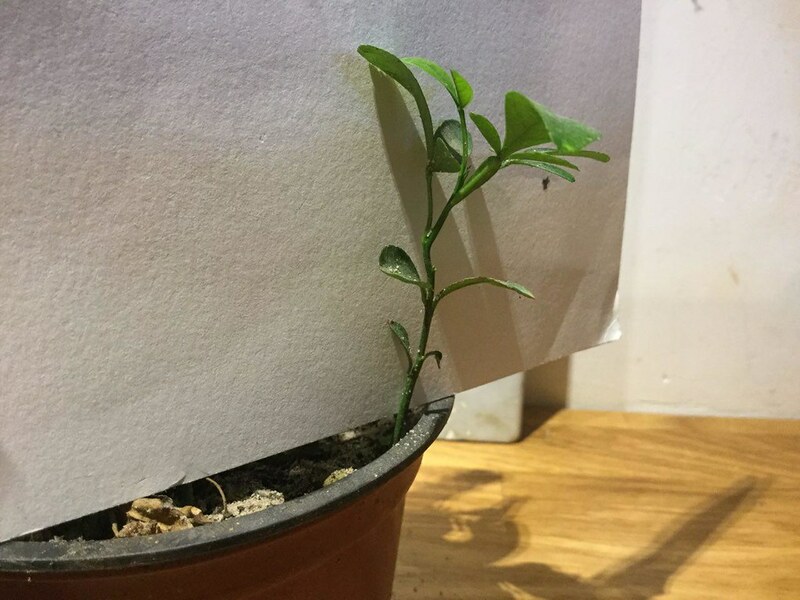 in comparison with a diploid cross being 50% trifoliata. Sylvain, it's good to know the right name. Thanks for providing it. I too thought about that. I noticed that the sense of rotation is acquired for ever and follows the graft, but among seedlings you can find clockwise and anticlockwise. So it looks more like a congenital trait than a hereditary trait. Indeed it would be fascinating to find a population made of uniquely one sense of rotation or a plant that have changed it's sense of rotation! Among hundreds of Thomasville seedlings that seems all to be nucellar, I found only one that has an opposite sense of rotation. Otherwise, it looks to be the same. Very interesting. Could you look your other seedlings populations to see if Thomasville is an exception or the rule? Sometimes, when stems are not round, it is difficult to determine correctly a sense of growth. I looked today at last year 5* seedlings that were left after I separated really hybrid ones. Majority are counterclockwise like 5*, but I found several seedlings that are clockwise. Can not can be 100% sure that are all nucellar. Interestingly, I have a variant, clockwise 5* seedling from 2011, that has had an amazingly rapid growth. It is now approximately 4 tall, flowered last year and it seems its fruits are less acid than that of original 5*. one is a mix of Poncirus and Citrus , alternate and first leave small like in Poncirus the 2nd larger and round like in Citrus.